Puzzle Pirates Forums - View Thread - Starfish and Banner UPDATED! Forums » List all forums » Forum: Cerulean Bazaar » Thread: Starfish and Banner UPDATED! Selling a variety of starfish and two gold box pieces of furniture. Open for offers for all items. 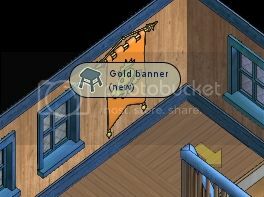 Furniture was never placed, just shown in preview screen to get a good look at it. Red, tan, white x 3, black x 2, grey, yellow x 2, pink, violet, purple x 2, navy, blue, aqua, lime, green, maroon, brown, gold, rose, lavender, mint x 2, light green x 2, magenta x 2, lemon, peach, light blue and persimmon x 2. Please message me here or find me in game with REASONABLE offers. Thanks so much! I'll offer 15K on the starfish collection.